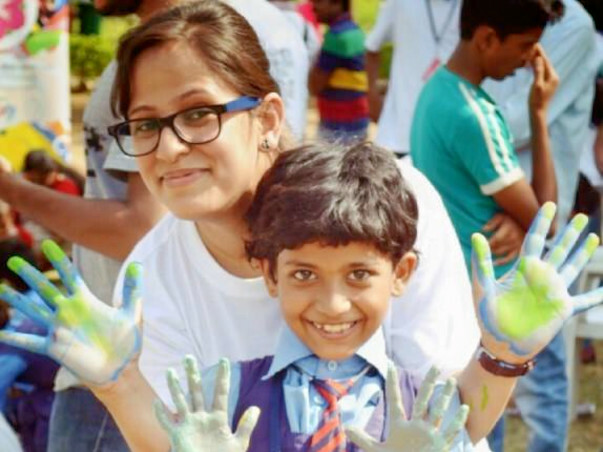 My name is Nitisha Pandey and I currently work with the Fellowship Recruitment Team in Teach For India, Hyderabad. It is my responsibility to find potential leaders for the movement against educational inequity and strive towards the vision of ‘One day all children with receive an excellent education’. I am the ambassador of the work we do at Teach For India where I constantly need to engage with external stakeholders and invest them into our cause. I was working with TCS for 2.6 years before having the courage to quit and join Teach For India in 2015. Since then, the learning and growth in me as an individual has been immense. Choosing an unconventional path and working towards a social cause from an early stage is always challenging and that has been my foremost motivation. It is the satisfaction that I get and the energy that I derive working alongside like-minded people that keeps me going. Jagriti Yatra is a 15-day long, national train journey across 12 destinations with 500 other Yatris that will take me 8000 kilometers across the length and breadth of India, to understand and build the India of smaller towns and villages through enterprise. I will meet role models, change-makers, leaders that started out on a journey just like me – and made a difference to thousands of lives. I will forge bonds with like-minded young leaders - my co-Yatris and complete strangers. They will become my closest friends and comrades for life. I will be exposed to role models who are building India through enterprise; through them I will find inspiration to undertake building my own journey through entrepreneurship. Since I came to know about the Yatra two years back, I’ve been thinking of applying but never had the courage to take the risk. I love traveling, meeting new people and learning from new experiences. I've come to understand the power of human potential and it has become a source of inspiration that drives me every single day. The Yatra is also my way of understanding our country and its people. The Changemaker at heart that I am, it fascinates me to know how people around the country are doing incredible things and having substantial impact in the lives of others. I feel it will enable me to learn so much from each of them and carve out a plan for my initiative into the social entrepreneurship field. Why I deserve the sponsorship? In today’s world it is remarkable to see the amazing work that women are capable of. Additionally, it is also interesting to see the shifts in mindset among men who are supporting their mothers, wives, friends and sisters in standing up for themselves. I have been privileged to have parents and a younger brother who have never thought of me any less because of being a girl. It was their confidence that pushed be to me successful in whatever I did. Having been raised in a family that values integrity and self respect, I have worked hard to be where I am today. During my college and work, one of the things that I have learned is that being independent is important, but the power of human potential is way beyond that. It is only when people with similar mindsets come together that something amazing can be created. It can be one person's idea but you require a team to bring that dream into reality. I deserve the sponsorship because I think the economic situation shouldn’t hold back an aspiring individual from learning, achieving and sharing something in their life. And I believe that people like you, who are reading this right now will empower me to achieve my dream to go on the Jagriti Yatra. 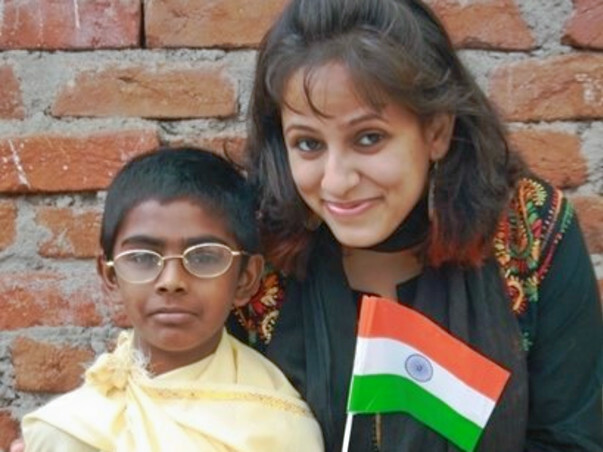 The Yatra fee is 62,000 INR of which I have received the level 2 scholarship of 28,000 INR from the Jagriti Team. I am looking for sponsors who can help me with an amount of 40,000 INR out of which 34,000 INR is the Yatra fees and the rest is the travel allowance that I seek. It would be great if you can help me with this. Hope you're having a good start to the week! I completed my Yatra yesterday and am back to Hyderabad. To thank all the sponsors of my campaign I have created a photo series on Facebook. You can find the link to the same here. Make the most out if it. Hey. Be awesome. Take the most of it. Pull the most genuine-untouched stories. Wishing unmatched experiences for you, and to inspire friends around you. Hope to see many more like this !